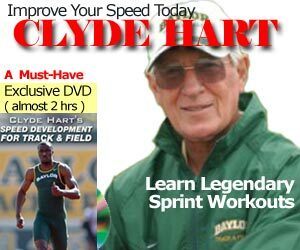 At Speedendurance.com, we are following closely the results of the IAAF World Championships in Osaka, Japan. Johan Wissman ran 44.94 & 44.56 in the Quarter-finals and Semi-finals respectively. Both times were National records for Sweden. Who the heck is Johan Wissman of Sweden? After the Indoor season of 2006, Johan announced he was moving up from the 200 meters and focusing on the 400 meters. Here is a video of his 300 meters in Leivin, France back in 2006. Johan draws lane 6 and clearly shows his power for 32 seconds.